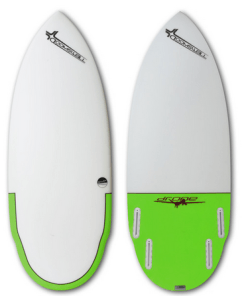 The Drone is designed for beginner to intermediate surfers who want to enjoy the traditional feeling of surfing behind the boat. Featuring a traditional pointed nose, wide outline, thick tail block and rounded tail. 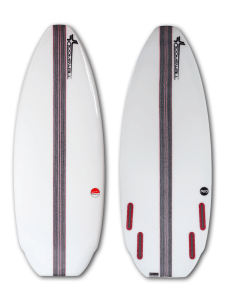 The thick tail block allows for more buoyancy, speed and airs, while the rounded tail is ideal for turning and spins. The Neo, or “The One,” is the next step in wake surf progression in the Doomswell lineup geared towards intermediate-advanced wake surfers. Featuring a blunt nose and emphasis on nose rocker tuned up for wake surfers who are starting to use their front foot for pumping speed. Designed with a slightly tucked rail as opposed to sharp rails for better maneuverability and bottom turning. The Big Step is the board to have if you are a bigger surfer- 200-250 lbs. or 250-300 lbs advanced. 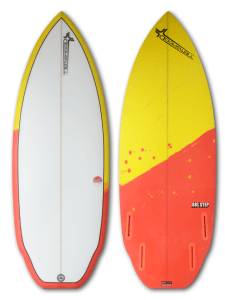 Featuring a traditional shape with a wing towards the tail and a thicker tail block delivering that surf style feeling and the most speed out of any hand shaped wake surfboard on the market.